Mexican food happens to be one of my favourite cuisines thanks to the husband’s influence. 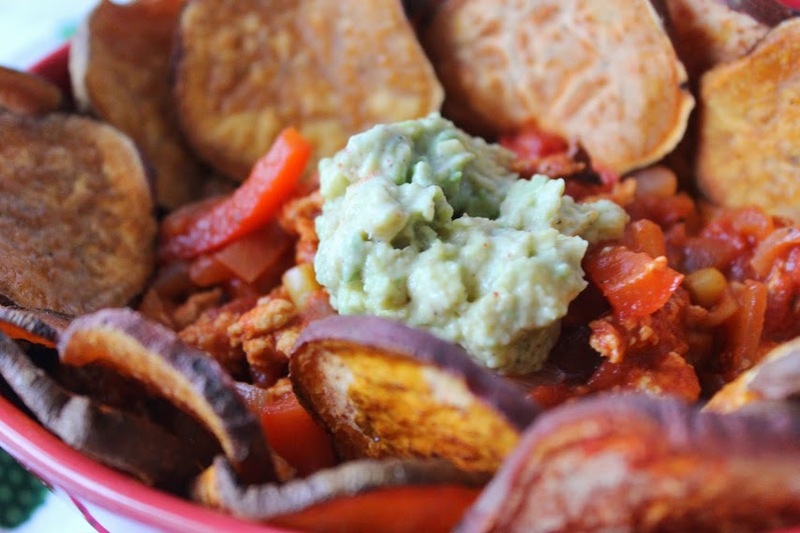 Anything that combines a smoky chipotle sauce with a bit of a kick works wonders for me, so I thought I’d put my pack of MuscleFood extra lean chicken mince to good use and immerse it in these flavours. I was impressed with the quality of the meat, a recurring theme with all of the meat I’ve so far tried from the company known for offering premium lean meats, high protein foods and sports supplements. With just 103 calories and 0.9g fat while boasting 22.3g protein per 100g, this chicken mince is a winner to cook with. 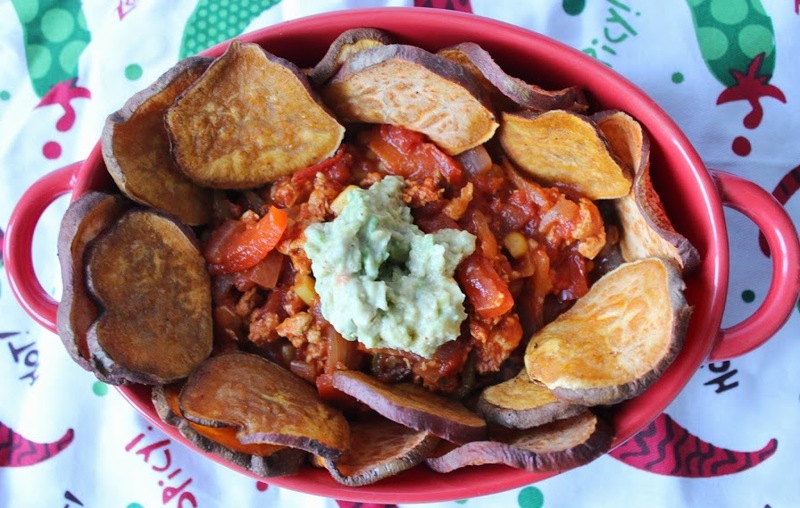 Renowned for not offering a lot of taste, this recipe really makes use of the meat as it absorbs these wonderful Mexican flavours, combining it with a healthier alternative to fried nacho crisps – sweet potato chips, ideal for dipping in and scooping the filling up! Preheat the oven to 190 degrees C. Pour a little chilli oil on a large baking tray, then place the thin sweet potato slices in a single layer and sprinkle with some paprika and black pepper. Bake for about 20-30 minutes, until softened and crisp. Meanwhile, heat a little oil in the pan and add the chicken mince, making sure you separate it up with a spoon. Add in the paprika, smoked paprika, garlic powder and black pepper, and continue cooking for a few minutes to brown and coat. Stir in the onions, peppers, mushrooms and chilli and cook for a further 10 minutes, to soften. Squeeze in the puree then pour in the chopped tomatoes, lime juice and chipotle sauce, bring to the boil then simmer for 10-15 minutes. Peel the avocado and roughly mash in a bowl with the lime juice, salt, pepper, yogurt and chilli powder. Leave in the fridge until needed. 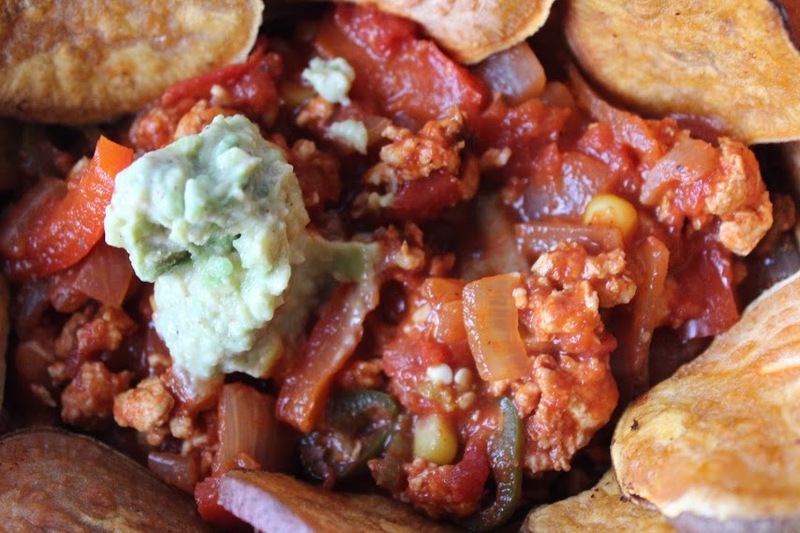 When your sweet potato nachos are ready, remove from the oven and pat with kitchen paper to get rid of excess oil. Arrange around the side of an oven-proof dish, either a large or individual ones then spoon in some of the chicken mixture then top with some guacamole. Now dig in and enjoy, using the nachos to scoop up the filling if you wish! 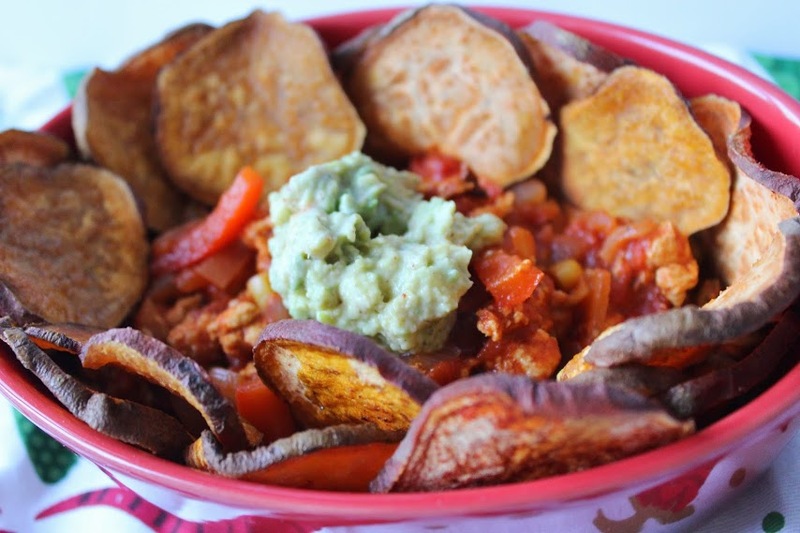 Check out more of my MuscleFood recipes on my blog for healthy, high protein lunch and dinner inspiration!